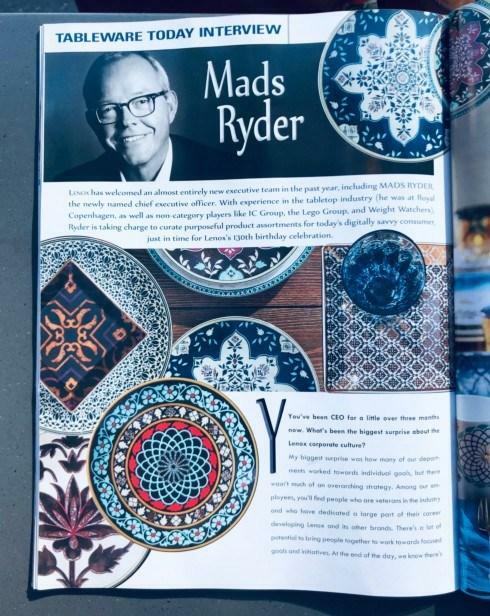 Mads Ryder, the new CEO of Lenox, is profiled in this month’s Tableware Today. 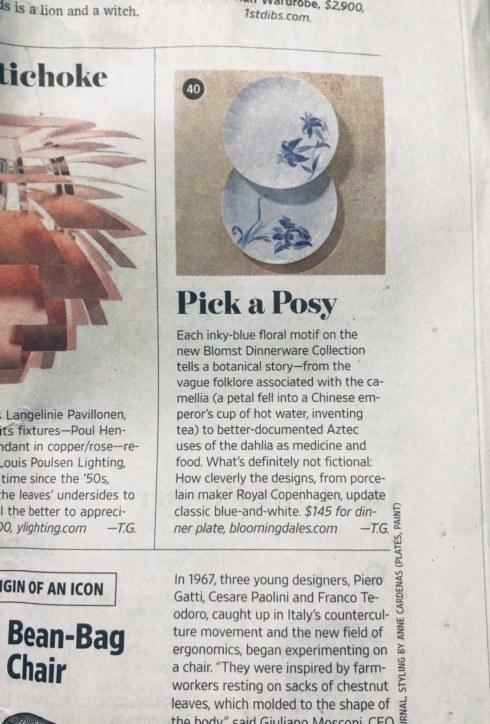 Lenox owns Reed & Barton—a Smart Brand member. 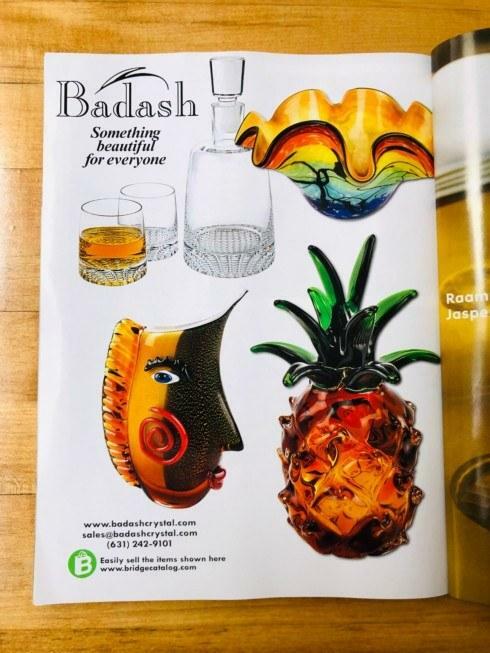 Customers love Badash’s fun drinkware and home decorating accessories. And since Badash is a Smart Brand partner, its products are easy to sell. 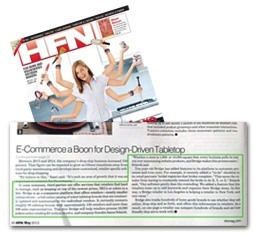 Shown here is Badash’s most recent ad in Tableware Today. 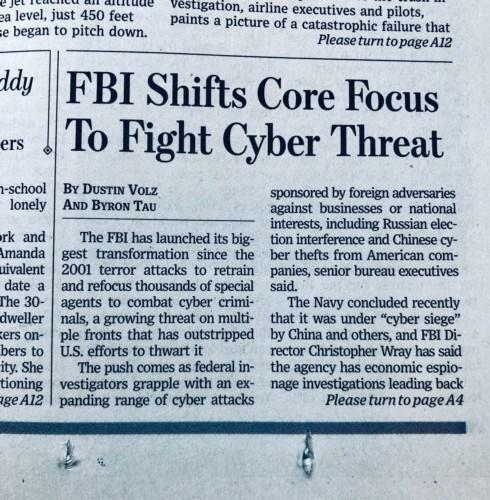 Today’s WSJ shares that hacking is at an all time high and the FBI is dedicating more agents to it. ...finally law enforcement is taking this more seriously. 2. Increase your Google ranking for free. Google ranks sites with current news higher. 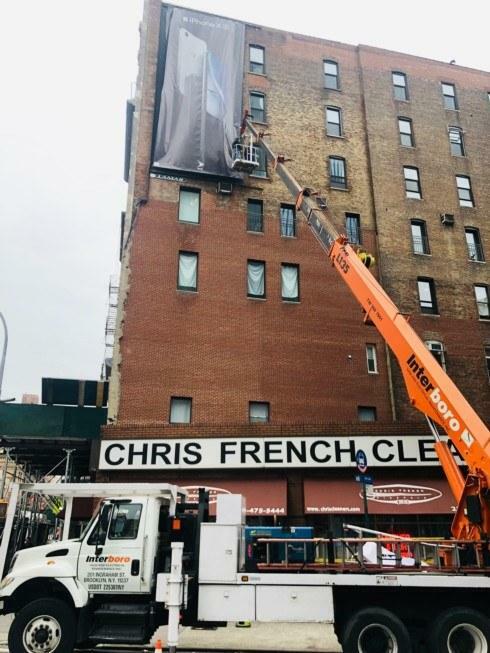 Even Apple--a company with all the money in the world--stills has to hire guys to hang signs. 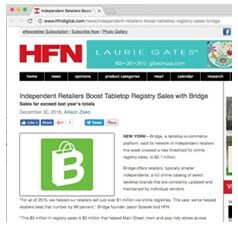 I was going to recommened reading this Shopify article about converting website visitors to shoppers but then I realized what a rip off Shopify is. 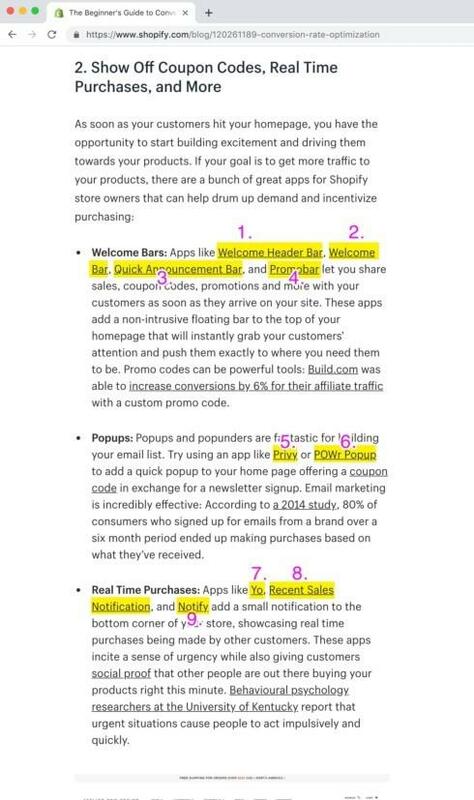 In the screen shot shown, we see Shopify promote nine apps. The apps use the 'freemium' model where you try it for free, then often quickly get stuck paying. In sum, Shopify is nickel and dime-ing users. Sometimes good guys win. 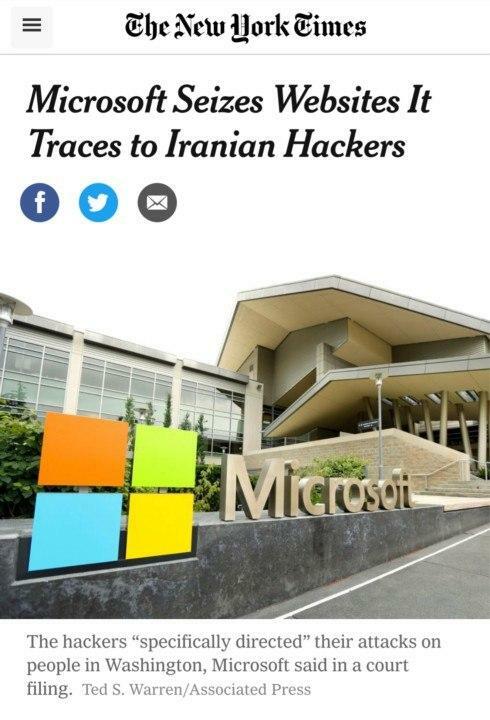 Thank you, Microsoft. How big a deal is cyber security? 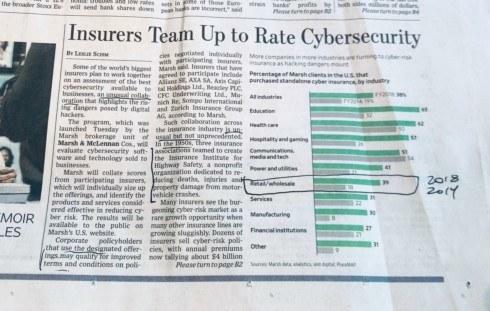 It’s about as important as car and highway safety—that’s the last time that insurers teamed up to tackle a topic, according to today’s WSJ. The number of retailers that purchased stand alone cyber security doubled from 2014 to 2018, shares insurer Marsh. 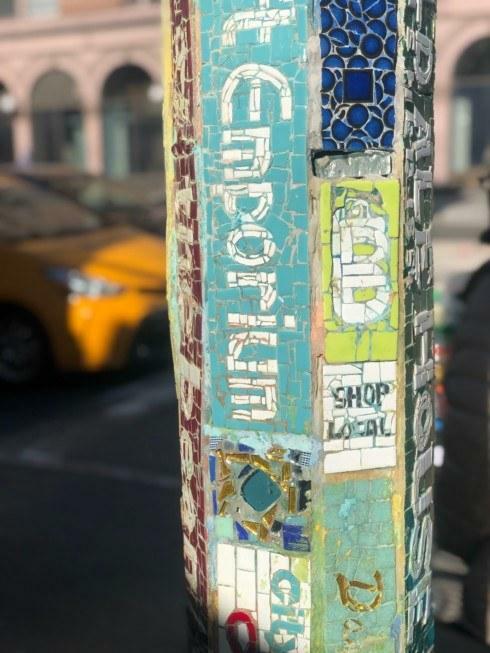 How do you get more customers to see your products? Tip: make your product names longer. Fill them with keywords and descriptive text. 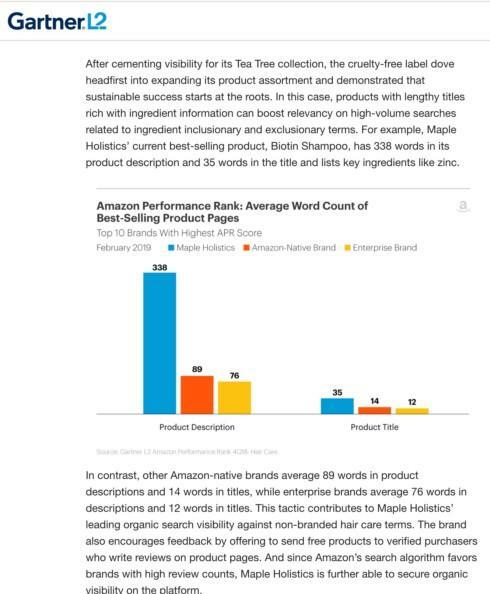 Market research firm Gartner shares that a hair care line that ranks well on Amazon has 3x the number of words in product name and description areas as other brands. Maple Holistics’ current best-selling product, Biotin Shampoo, has 338 words in its product description and 35 words in the title and lists key ingredients like zinc. 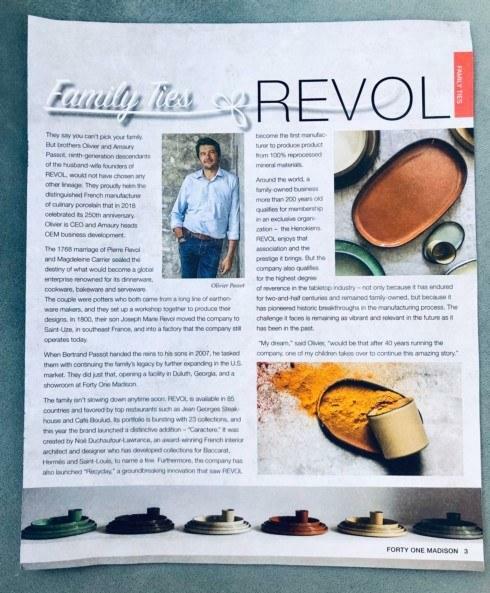 Happy to see Bridge Smart Brand member Revol featured in 41 Madison’s Tableaux magazine. 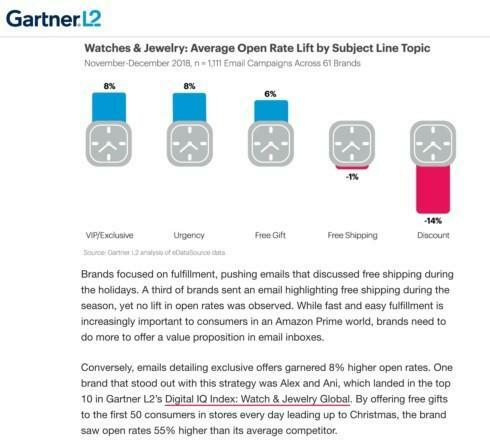 How does your business get more customers to open your emails? Use these subject line terms: VIP/Exclusive, Urgency, and Free Gift. The terms that results in fewer openings? Free shipping and discount. 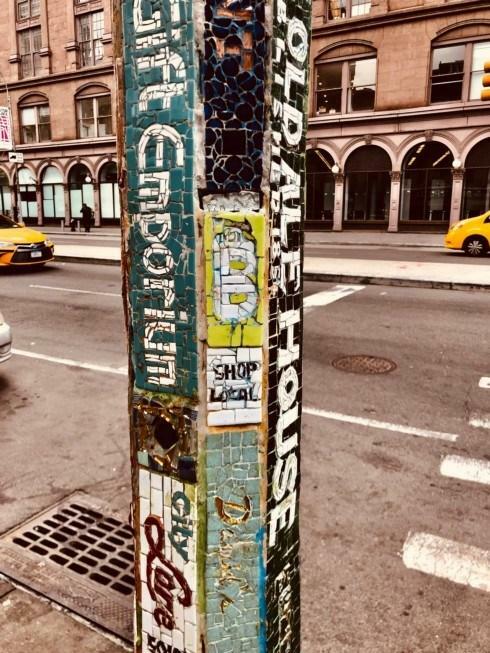 Also in this art piece are: McSorleys, Immigrant, Dinosaur Hill, and The Bean. 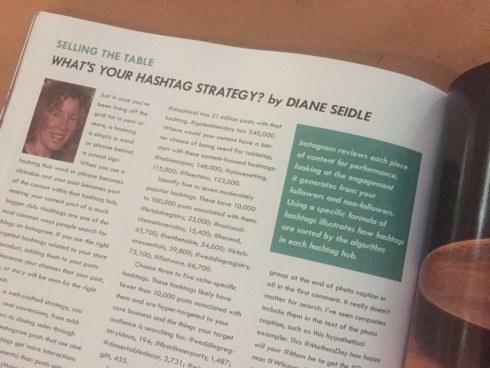 Happy to see Diane Seidle’s lastest strategy article in Tableware Today below. 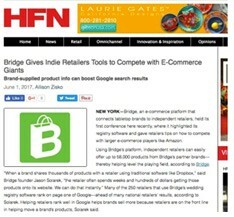 Speaking of hashtags, Bridge created its own ‘$tag’ to similarly offer quick access to product info. Type a dollar symbol “$” before a SKU and the specific item will magically appear below your Chalk. Is your job in danger? 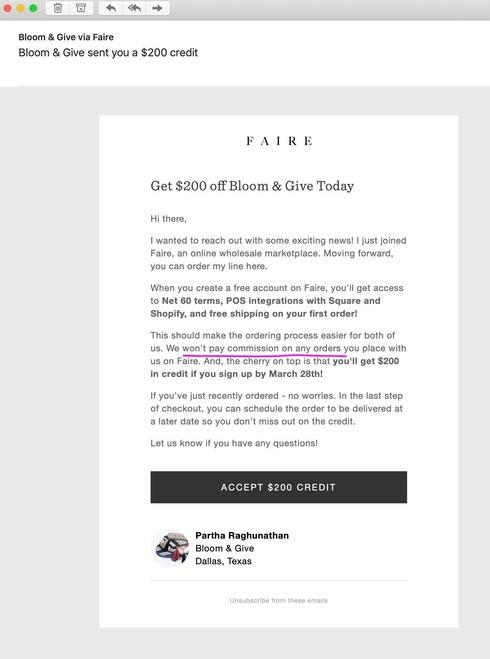 Faire, an online wholesale platform, wants to cut out reps. If you hear of your brands using Faire--or retailers--I'd ask them why they don't value sales reps.
Faire is not 'fair' to reps. It cheats you out of your hard work. Let's imagine you work on a retailer to open it, then clean its shelves, stock its shelves, and help it get product quickly. Then the store orders via Faire. When it does this, you're gonna be working for free. Your registrants will have to reset their passwords in order to increase security. A. 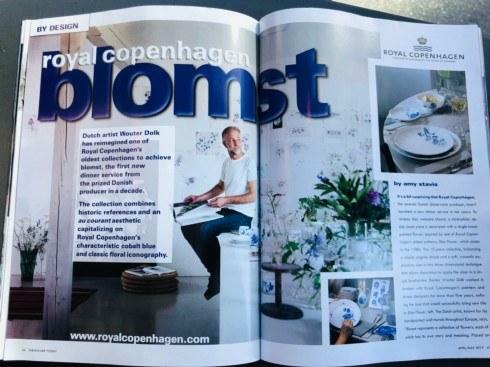 The registrant visits your Bridge page. 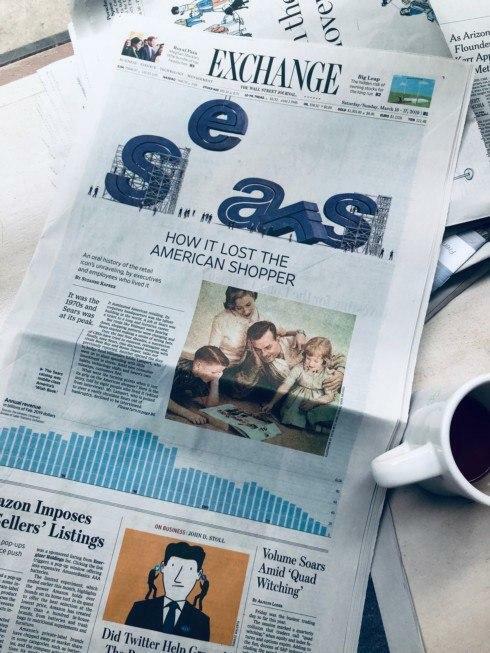 Today’s WSJ does a review of Sears’ downfall. In the same WSJ edition, we see how Amazon and Apple—two of the world’s most valuable companies—have had their stock price rise. 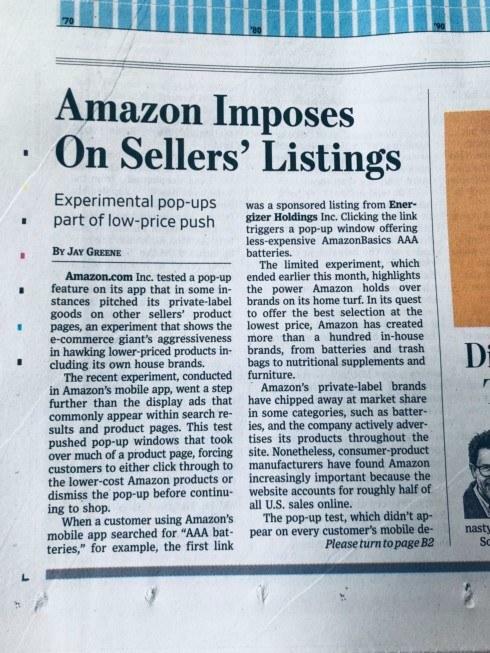 Amazon continues to wage war—on its own customers. Amazon charges steep fees and now seeks to grab third-party seller’s customers.